David Jenkins joined Warwick in September 2017 a postdoc research fellow on a Leverhulme Trust Research Project titled Investigating the Ethics and Politics of Sociability. Previous to this he was a Teaching Fellow lecturing on Equality, Justice and Difference at UCL. In 2015 he was the Krzysztof Michalski Junior Fellow at the Institute for Human Sciences in Vienna. His work centres on problems in contemporary political theory, focusing especially on distributive justice, non-ideal theory and realism in political thought. 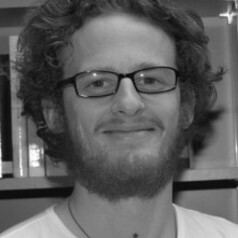 He has published work on issues of solidarity within both ideal and non-ideal theory, the limits of the value of reciprocity, the power of occlusion, James Baldwin’s theory of recognition, the sociology of identification and the category of depth, as well three papers on unconditional basic income. Currently, he is at work on a manuscript (‘Bathing in the Multitude’) examining sociability in urban environments.